The strategy RPG challenges players to save the world of Moriatare from evil forces. Netmarble Games announced the release of Soul King on iOS and Android. Developed by FunnyPaw, a subsidiary of Netmarble Games, the strategy role-playing game challenges players to save the world of Moriatare from evil forces. In each battle, heroes attack enemies in real-time automatically, and gamers can spend energy and mana points to trigger their heroes’ special skills. Users earn energy and mana as battles progress. 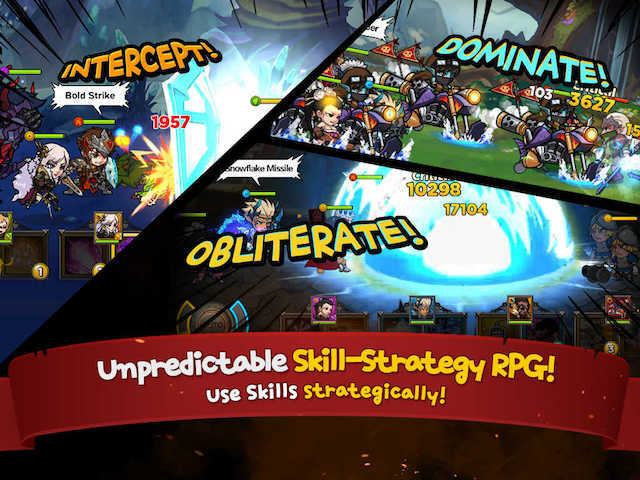 Depending on the gameplay mode, users may also have the option to turn on auto mode, which allows the game to trigger heroes’ skills automatically. Users can earn gold, equipment and other items as they complete the game’s single-player missions. Users can also collect new heroes for their teams as they progress. Gamers can use food items and unwanted heroes to level up the heroes they’d like to keep, increasing their stats. In addition to completing missions in the game’s single-player adventure and story modes, users can complete daily dungeons, fight in the challenge tower and compete against other players in multiplayer battles. Users can also join guilds with other players. We are excited to announce the global release of Soul King. We hope our players will enjoy this unique opportunity to raise and fight with their very own heroes as they battle to save the wonderfully mythic world of Moriatare. Soul King is available to download for free on the iTunes App Store and Google Play.